Peppers in a Ceramic Pot, Instructions and Supply. ≈ Comments Off on Peppers in a Ceramic Pot, Instructions and Supply. The Peppers Harvest Was Good This Year. 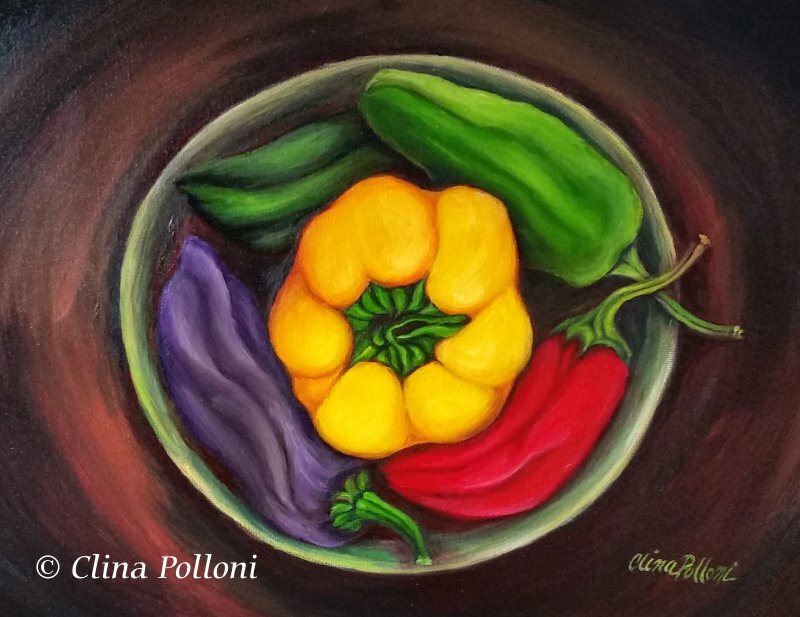 Autumn is here and is time to harvest the delicious peppers that my husband Thom planted, and the time for us to paint them. 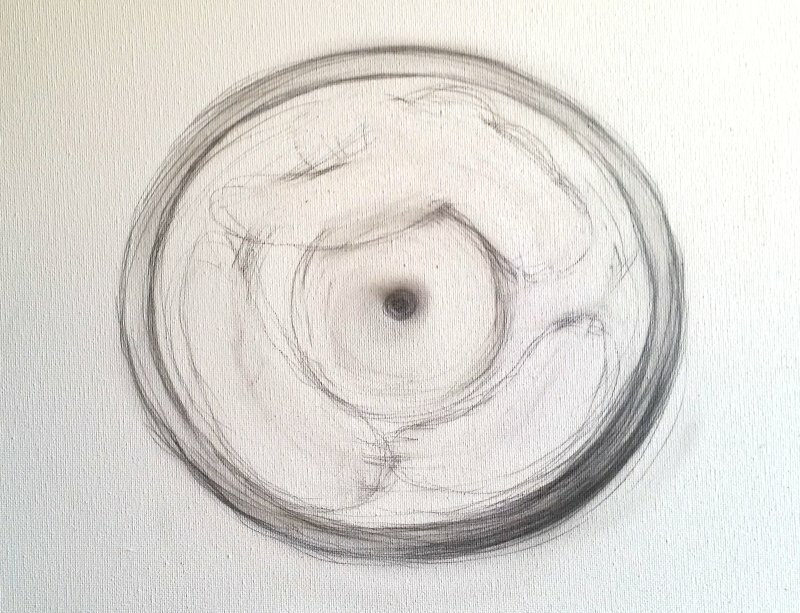 Start by drawing the composition of the painting, without details. Just position each element in the canvas. 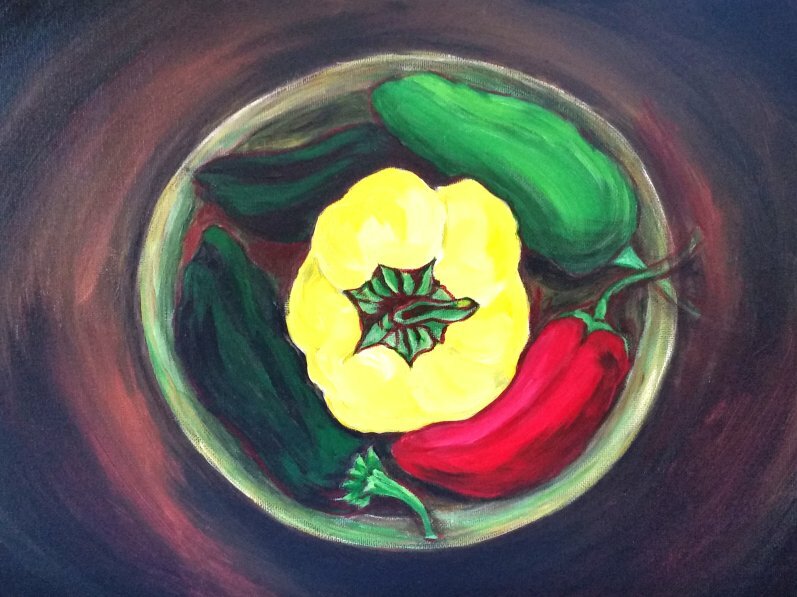 In this painting I was creating a circular composition, where every element circles around a yellow pepper. 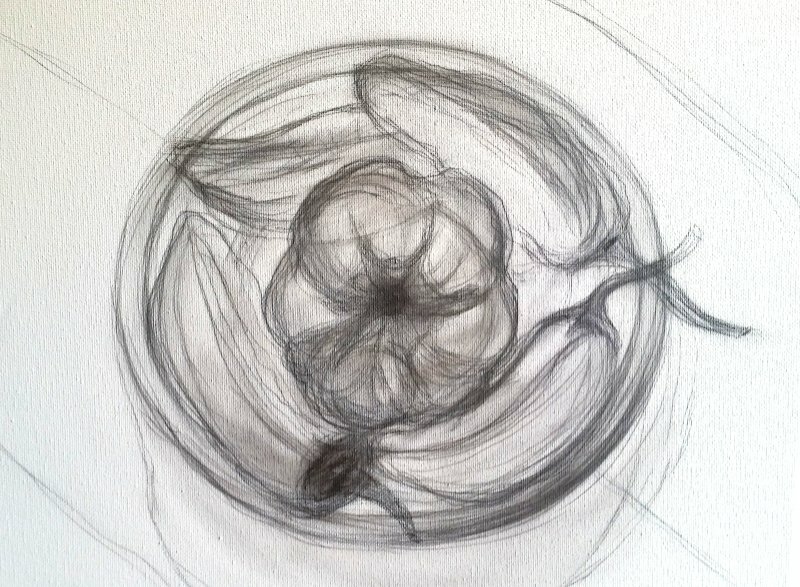 Once you are happy with the composition, start drawing the peppers, thinking about light and shade. In this painting I did the under paint with acrylics because they dry faster. The under paint is very important because you are continuing to draw with colors and defining light and shade in your final painting.